As far as I'm concerned, wireless charging is one of the greatest inventions of the last decade. OK, true, there is still a wire involved since the charger plugs into the AC outlet, but it is just so elegant to not need to plug a cable into your phone. Convenience aside, this will also reduce wear and tear on the port, potentially causing your device to last longer. Case-maker X-Doria has a new wireless charger, but it is not designed for your home -- unless you live in your car, that is. Yes, the "Defense Helix Car Mount," as it is called, is designed for your vehicle. Not only does it charge your phone (both 7.5W and 10W), but it props it up on your dashboard too. Defense Helix can handle both Android phones and iPhones, and a wide variety of sizes too -- thanks to its adjustable "RoboGrip" arms. The Defense Helix will conform to your device to keep it secure. The product attaches to one of your car's air vents, holding it up for optimal hands-free use. This is ideal for when you are using a navigation app, such as Apple Maps or Google Maps. It will work for cases up to 3mm thick. In the box you get a dual USB-A (1 x QC 3.0 and 1 x 2.1A) charger and a 1 meter USB-A to USB-C cable. 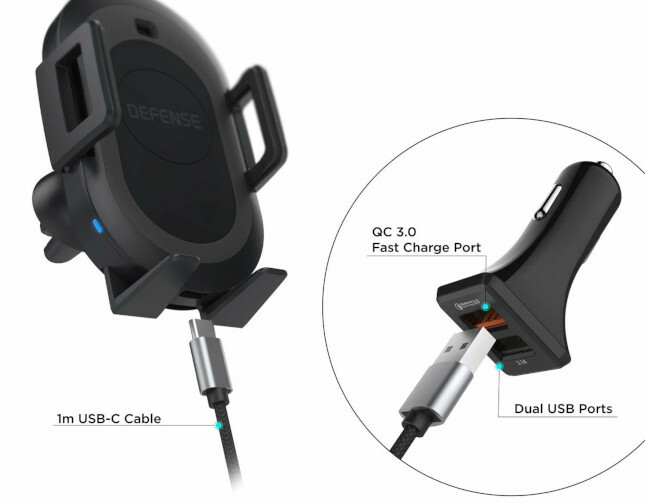 The cable plugs into one of the ports, which then plugs into the Defense Helix. The other USB port can be used by your passenger if they need to charge their device. You can see it in action in the Instagram video below. 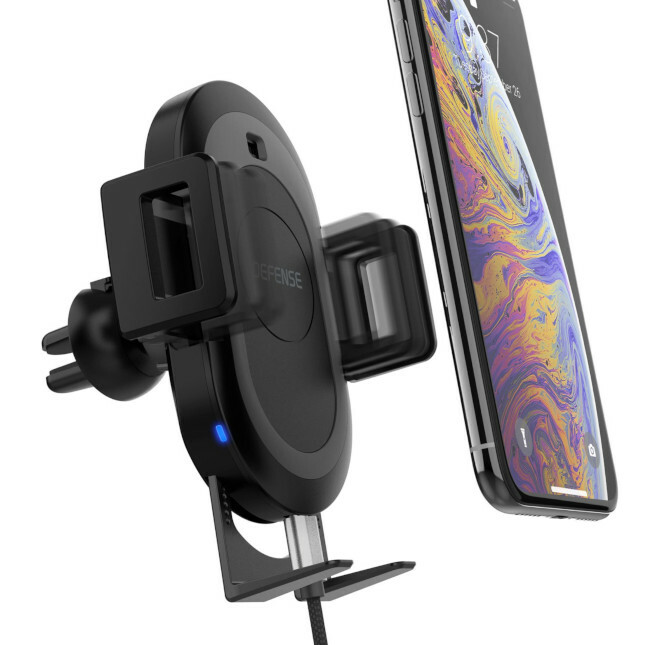 If you would like to add Qi wireless charging to your car or truck, you can buy the Defense Helix Car Mount on Amazon here. While the $59.99 price is a bit high, it looks like a quality product that should last. If you are someone that travels in their vehicle a lot, it could prove priceless.